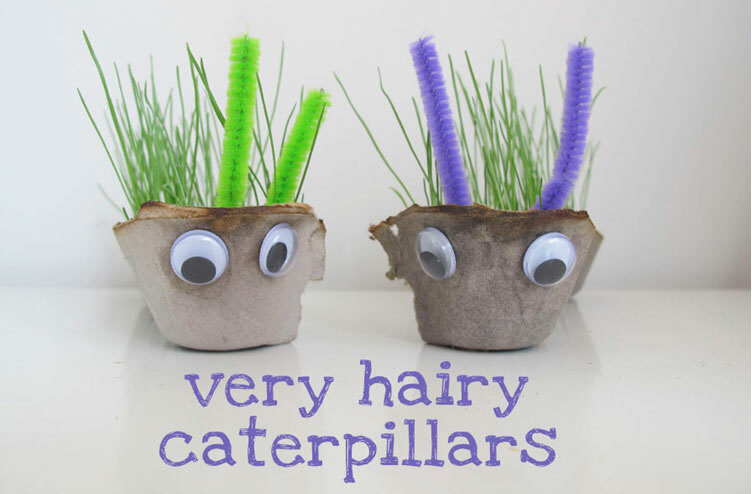 Make your own very hairy caterpillars!! 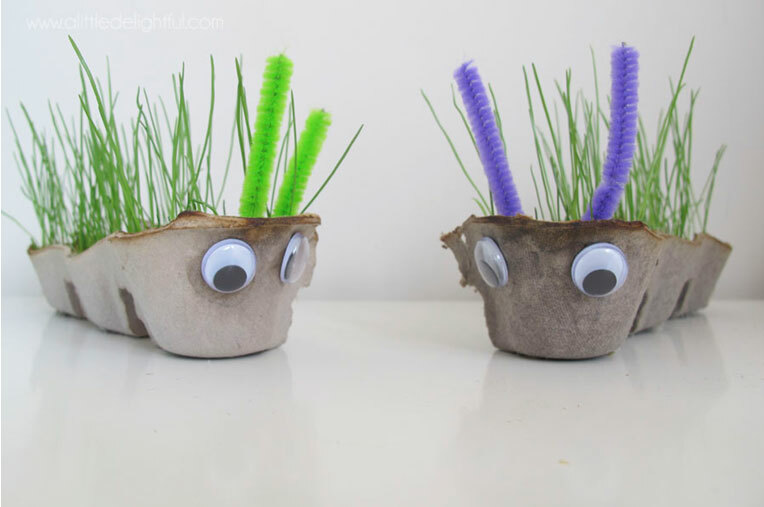 The kids will have a ball watching the 'hair' grow! 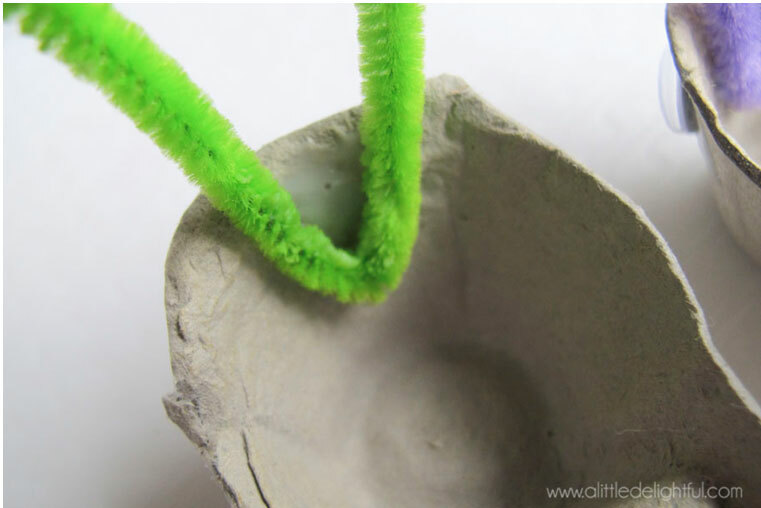 Fold half a pipe cleaner in half to form the antennae. 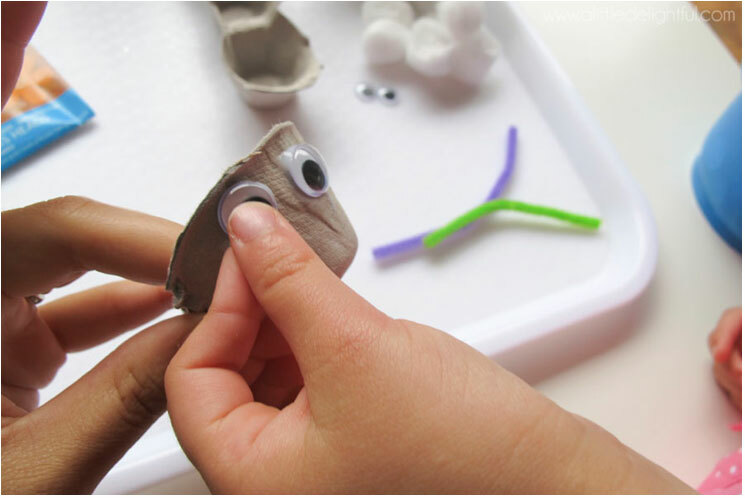 Use glue (or tape) to secure to the caterpillar. 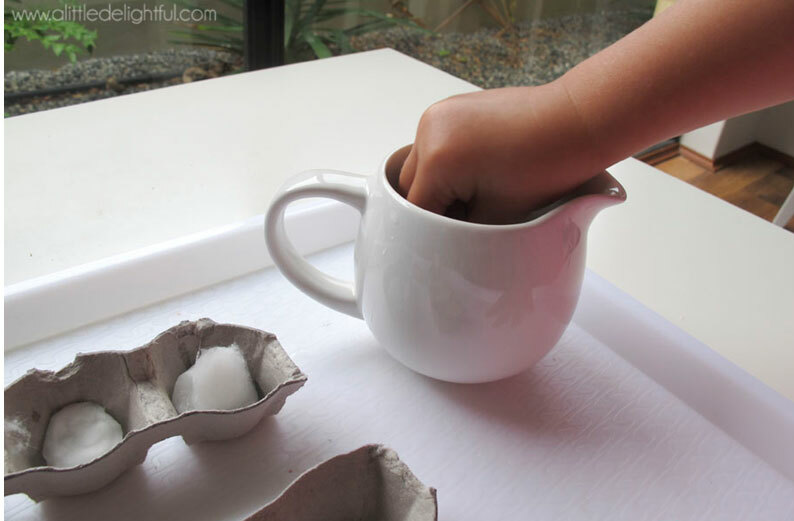 Dip cotton balls into water and squeeze slightly. You want them quite wet but not heavily dripping. 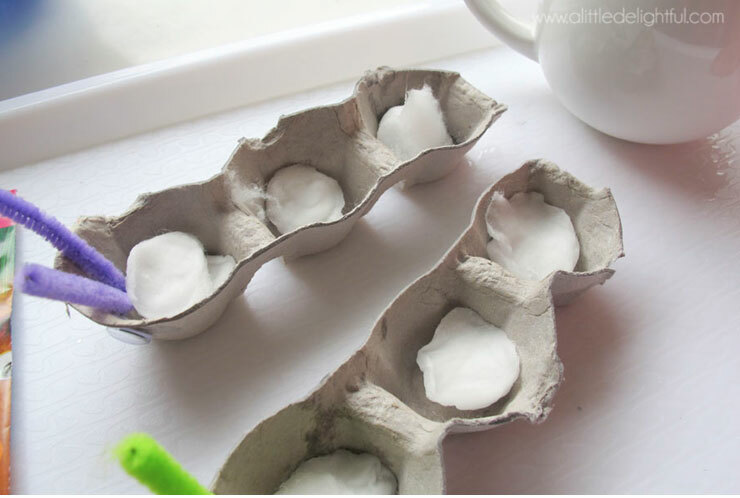 Pop 2-3 in each section of the caterpillar egg carton. 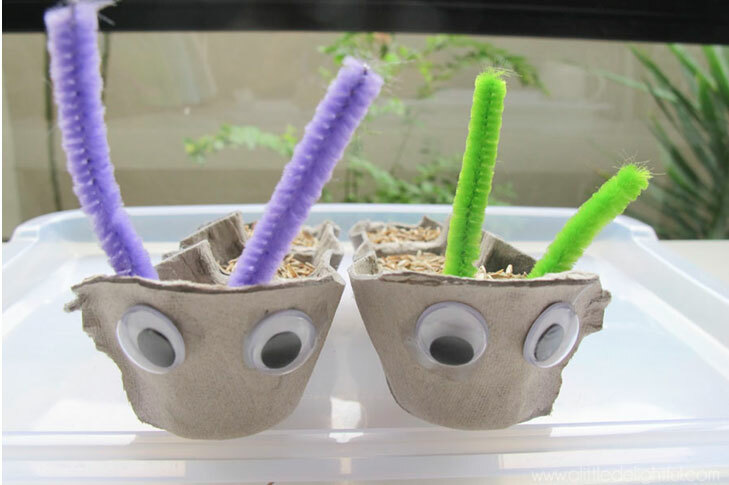 do want the seeds to have plenty of water so they start to germinate. Keep in a nice sunny but not too hot spot. 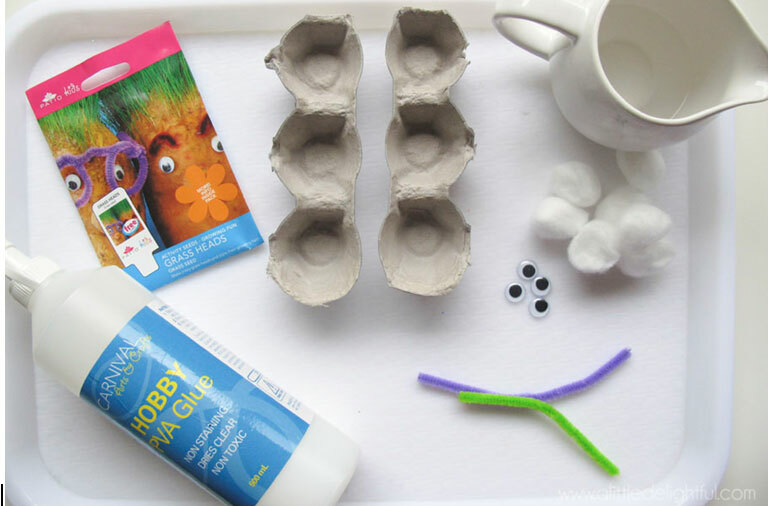 This is a perfect springtime activity! starts getting a bit damp from all the watering – they’re pretty sturdy! Very Hairy Caterpillars will actually be hairy! a little haircut after a while longer!